Is Your Organization Prepared to Sustain Business and Respond to a Disaster? If you are in the market for a global commercial satellite service provider of voice, video and data connectivity solutions, you're not alone. Businesses, government entities, humanitarian groups and public service departments such as fire, police and emergency responders are increasing dramatically in need for fixed and mobile satellite communications. Whether for backup, emergency or occasional use, satellite services provide the flexibility and reliability that traditional terrestrial communications can not compete with. As communities expand and businesses reach across physical boundaries the need for voice, internet, video and data to continue since location or cause for disruption grows with demand and intensity. When it comes to safety, emergency services and communications, preparation and taking count of necessary precautionary measures is critical to the actual hood of community members. 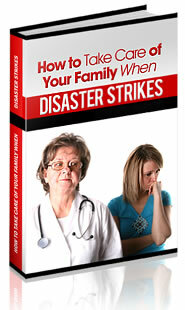 When disaster strikes, preparation has and will continue to be the best method of protection. With any disaster preparedness plan, a solid communications method is imperative. While many organizations have taken head to recent natural or man made disasters and secured commercial satellite services – others have yet to deploy the necessary steps to ensuring communications and basic communications services remain intact. Municipalities and organizations worldwide need to incorporate superior satellite technology into their response action plans. There are a number of providers that offer a range of services from high speed internet via satellite, mobile satellite, business satellite internet to voice, fax, data and video over satellite services. Many government entities and public service organizations rely on the ability to quickly respond to situations, communicate between the personnel on the ground or at the scene seamlessly with the command center. In areas where infrastructure is limited or not accessible, having the agility of a mobile satellite communications network can literally change the output of a crisis situation. Being able to rely on automatic satellite, modem and networking services in command or response vehicles is realistic if the provider is reputable and has the bandwidth to support commercial satellite services worldwide. Mobile satellite services can be installed in command vehicles with communication devices between the internal computers and VoIP phones, wireless devices such as PDAs and laptops, featuring mobile satellite internet and networking services, capable of uplink and downlinks operability. The satellite connectivity capability is generous, especially in mobile and first-responder environments. With the right services, support and mobile infrastructure, organizations and agencies can be confident in their connections. There are many options in fixed and mobile satellite services, first responder and emergency satellite communications. Organizations can deploy high performance multi-network communications through a single source, theby ensuring the quality and operability of mission critical procedures. In conclusion, search for a provider that can provide quality connections and reliable support staff to ensure that when disaster strikes, your organization can respond without delay.